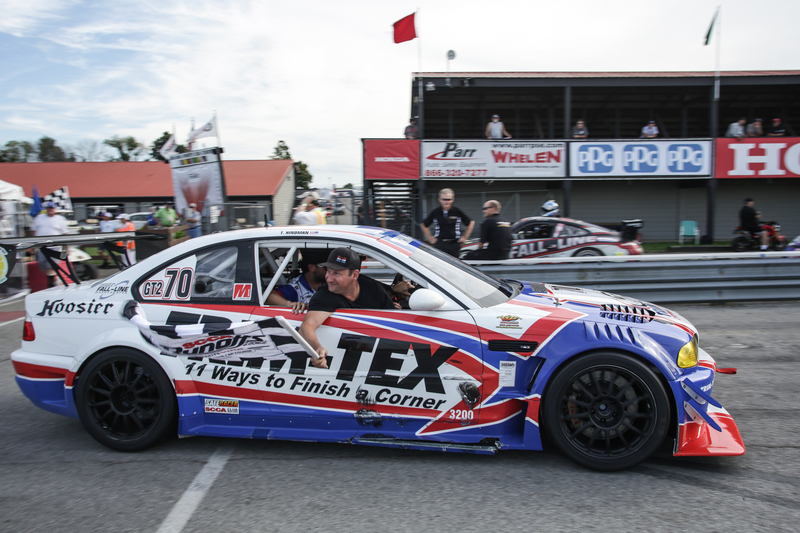 It’s been a banner year for Trim-Tex Motorsports. In multiple forms of racing the respected drywall product manufacturer is piling up an impressive list of accomplishments. 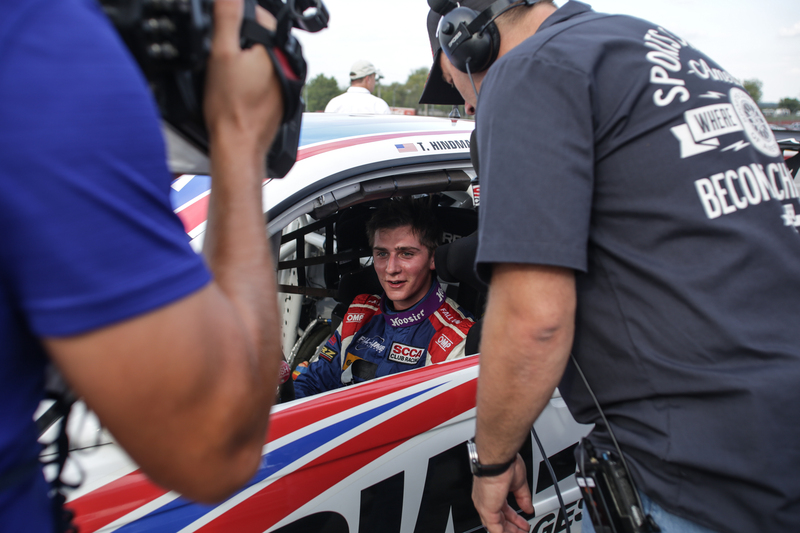 In late September, highly-regarded sports car racer, 21-year-old Trent Hindman used his skill and finesse to motor the No. 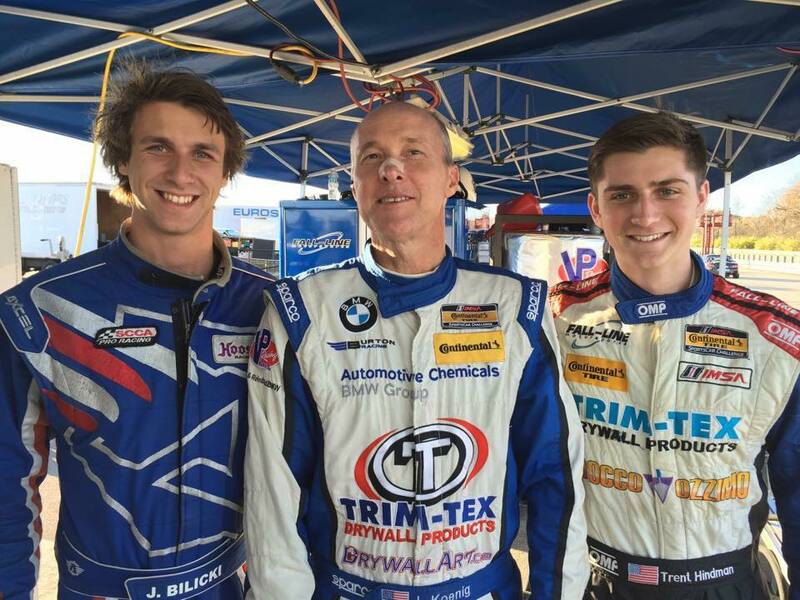 70 Trim-Tex / Fall-Line BMW to an extraordinary victory at the 53rd SCCA National Championship Runoffs at the Mid-Ohio Sports Car Course in Lexington, Ohio. “We are relishing in the win,” Hindman said, after returning from 23 days on the road, now able to fully reflect on the magnitude of the accomplishment. 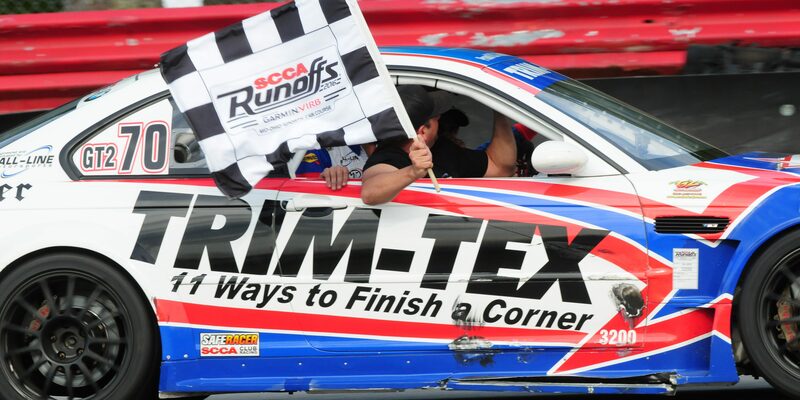 Trim-Tex President and major racing enthusiast Joe Koenig shared the young competitor’s elation. The victory proved to be a fitting 21st birthday present for Hindman. 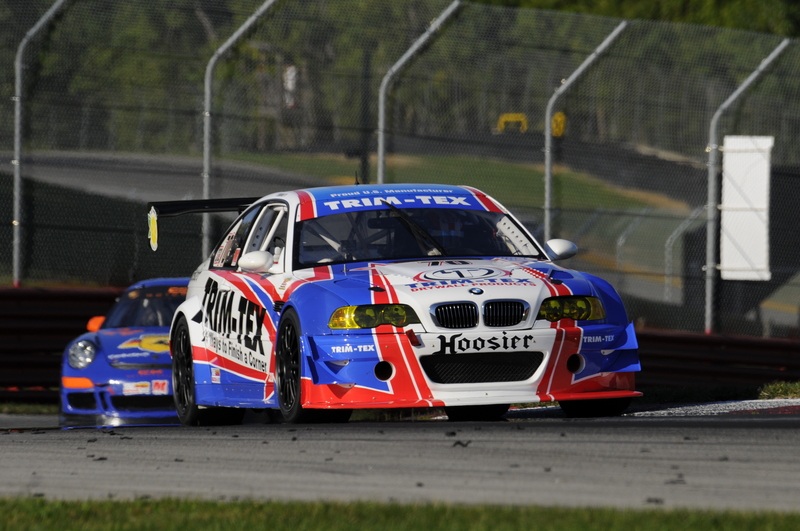 For Koenig, who came close to winning the race as a driver in past seasons, the victory was enormously meaningful. 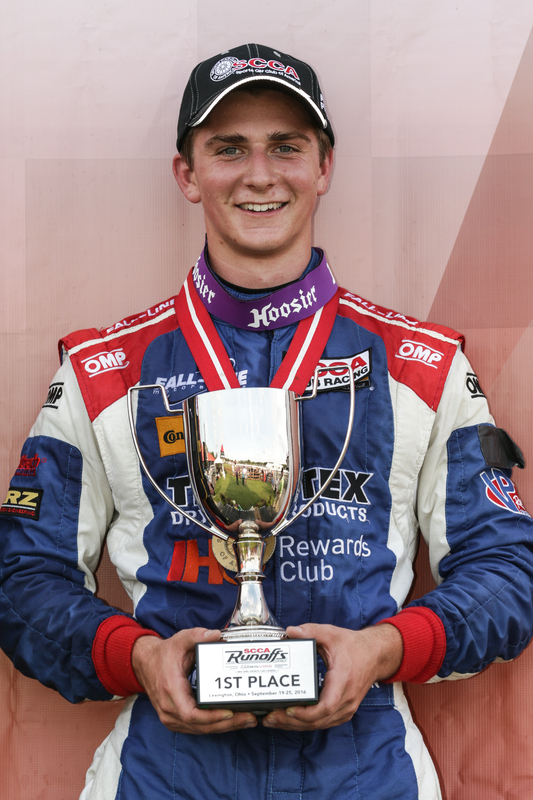 September 23, 2016 is a day to remember for Trent Hindman and Trim-Tex Motorsports. “Just to see Joe’s reaction was priceless. Getting it together, as a team, that’s something you can’t buy, something you can’t manufacture. We put in a ton of effort to make it happen,” said Hindman, who considers the victory one of his greatest accomplishments in his 12-year racing career. Trent Hindman looked like a seasoned drag racer at the start of the event. The crew also took full advantage of the four, 15-minute qualifiers each day at the event. There was a lot of time spent testing the team’s different compounds of Hoosier tires. Trent Hindman experimented with different compounds of Hoosier tires on the No. 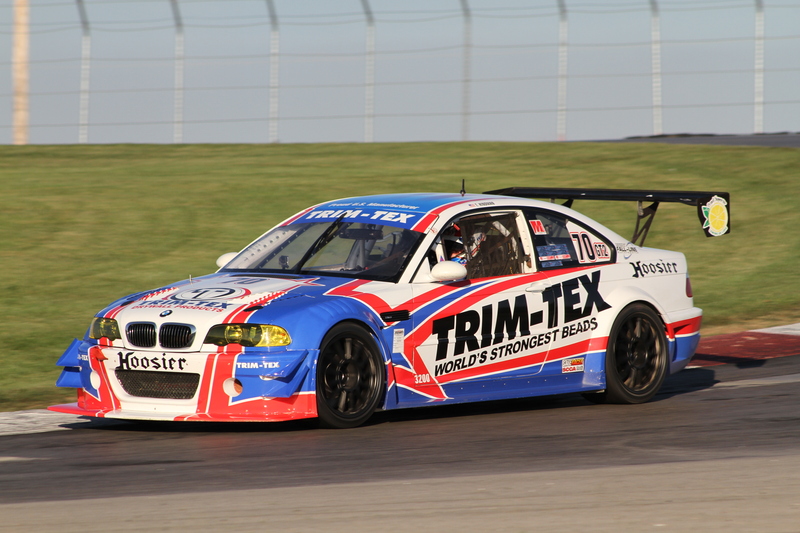 70 Trim-Tex BMW. The astute judgment paid off. The car was swift and nimble enough to hold off a very quick Phoenix Performance Corvette team that many fans pointed to as the squad to beat. Trent Hindman’s tire selection proved to be an ingenious call. At the start of the race, Hindman’s aggression made the former drag racing champion Koenig smile. Like a Pro Stock Motorcycle leaving the line with a near-perfect reaction time, Hindman scored a valuable holeshot. Trent Hindman never had anyone in front of him. Koenig had a fantastic view of the start. Hindman then spent about 39 minutes, defending his position with some first-rate, hard racing. On the strength of his durable Hoosier R7s, Hindman held his lead and secured the coveted victory as the race ended under caution. “I was relieved to see that yellow come out. It meant I would not put any more scratches on that beautiful race car,” laughed Hindman. Many remarked that it was the best race of the weekend. 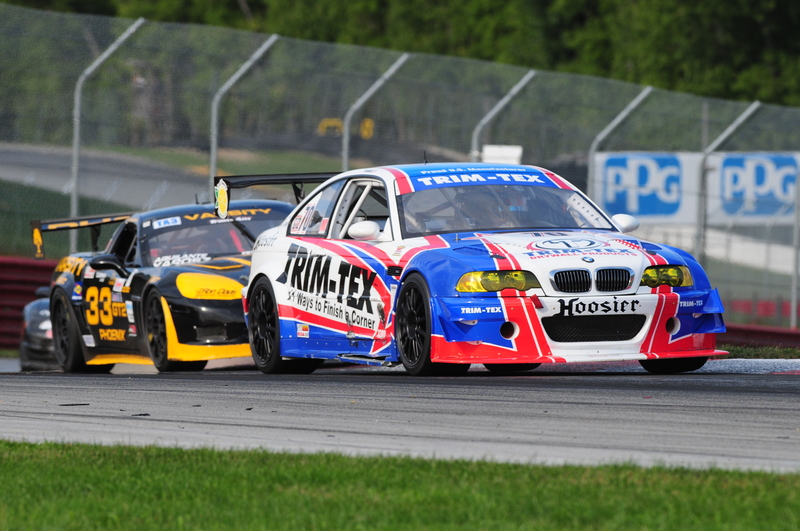 Hindman and Trim-Tex head to the winner’s circle at the SCCA Runoffs at Mid Ohio Sports Car Course in Lexington OH. 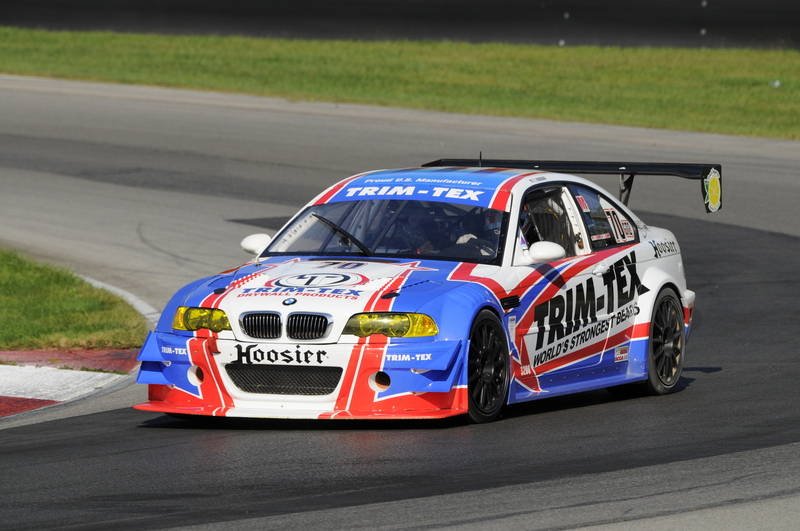 With the sought-after triumph, Trim-Tex continues to carve out an impressive motorsports legacy. Hindman thanked Trim-Tex for all the support. Koenig also thanked Fall-Line owner Mark Boden, team engineer Nathan McBride, crew chief Mike Grady, car chief Seth Weingartz, car builder J P Novelli and Tim Gilvin of Hoosier Tires.